Barium peroxide is formed in nature in the form of powdery substance. 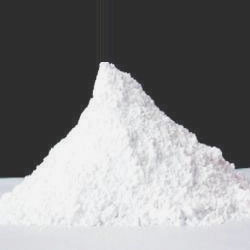 Barium peroxide is a white solid inorganic compound with the formula BaO2. It’s the first peroxide compound discovered. Barium peroxide was once used to produce hydrogen peroxide via its reaction with sulfuric acid. It is obtained by the reversible reaction of O2 with barium oxide. The peroxide forms around 500 °C and oxygen is released above 820 °C. It is used in fireworks and used as a precursor for hydrogen peroxide. This chemical compound is water insoluble but more soluble in acids. We are supplying Barium Peroxide to all parts of India. We are currently supplying to some of the leading companies in India and we give assurance to deliver our products to client’s destination within given time period.